Micro-processed : Triphala is specially micro-processed so that each Triphala component reaches to the desired site of action at a much faster rate and in the required concentration. Stabilized : Use of standardized extracts helps to avoid any batch to batch or seasonal variations thus offering consistent & sustained efficacy. 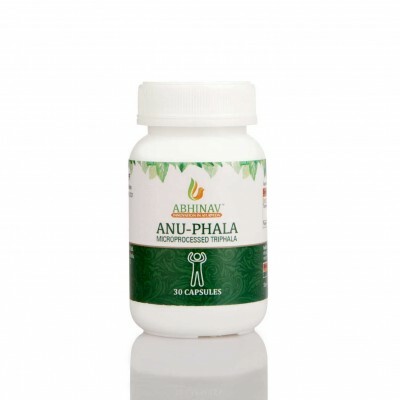 Bio-Enhanced : Triphala is specially processed with Bio- enhancer herb Pippali (Piper longum) which increases the bio-availibility of Triphala components at the desired site & assure product efficacy.